Travelling from Hong Kong, two BAI climbers Paul and Maria will arrive in La Paz Bolivia with some great goals in mind. Their custom itinerary will allow for them to explore some of Bolivia’s amazing sites and climb some of its greatest peaks. They will travel from La Paz, the world’s highest administrative capital onto Copacabana where they take a boat to Isla del Sol and tour ancient Inca ruins. 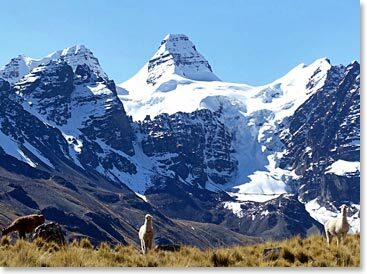 From Copacabana the team will head to the Cordillera Real where their sights will be set on some impressive summits. . Follow along as the team send updates from their Bolivia climbing expedition.